DIY Graphic Nail Art with Nailbot @preemadonna #WearableWednesday « Adafruit Industries – Makers, hackers, artists, designers and engineers! 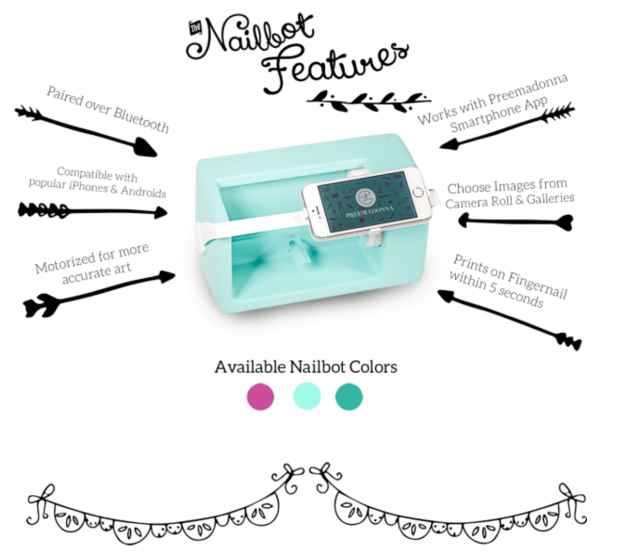 The Nailbot is a device that prints instant art directly on your nails with your smartphone. How does it work? Prep your nails, select your art with our app and tap print. In about 5 seconds, that art will appear on your fingernail. We leverage your smartphone’s vision capabilities and processing power to make the Nailbot affordable and accessible. The Nailbot has utility beyond decorating fingernails. 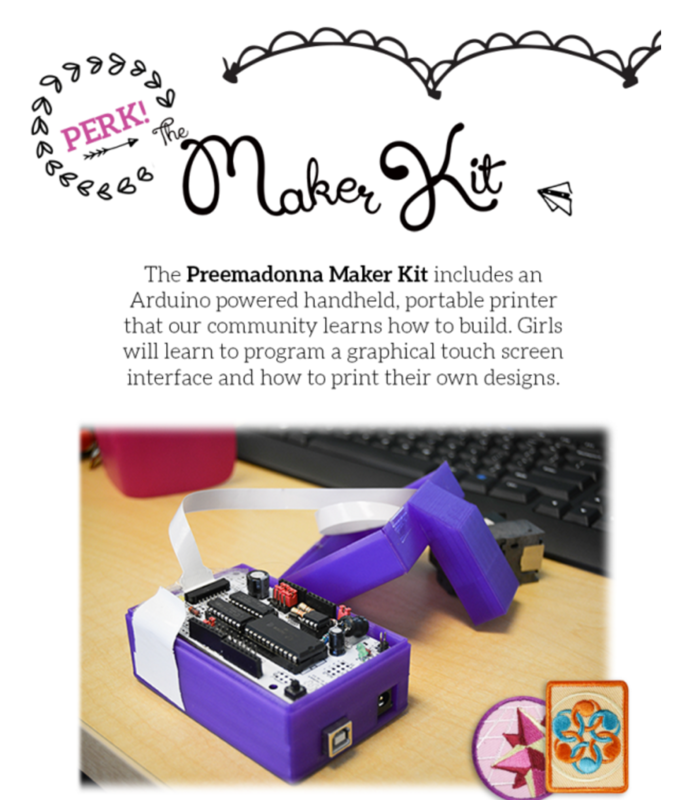 With our DIY Maker Kit, our community can build and program one of our early prototypes using an Arduino Uno. Our team is also putting together video and in person tutorials to show girls how to design their own digital Nailbot nail art using software programs. Their art will be featured in our mobile apps starting in early 2016. We will include information on notable women in our society in our mobile app. In time, we will open up parts of our app for girls to build new experiences with the official Nailbot Kit using their computer science skills. Our community partners include the girl powered tech organizations like MakerGirl, iDTech and grassroots Girl Scout Councils that are piloting Maker Badges for their troops. Nailbot is offering an Adafruit community discount ($50 off) on Indigogo preorders.